Fighters in the ring often do much more than simply providing entertainment and recreation to their fans and onlookers. Some become public figures for the way they develop their bodies and spirit for fights and martial arts. Indeed, the kind of rigorous routines, grueling fights and workouts, stamina and mental strength that one needs to showcase can help motivate many others to get over their weaknesses and be better individuals. Carlos Condit is one such figure who does more than simply fight in the ring. Being a mixed martial artist from America, he has competed in the welterweight category. He also holds the title of WEC Welterweight Champion. As in 2015 he obtained the fourth rank among UFC welterweights worldwide. 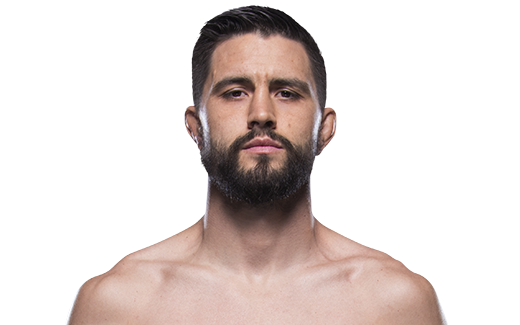 Condit has been able to achieve thirty wins in his fighting career so far. Out of those wins, Carlos has mostly made victory either by knocking out his opponent or making them submit. He himself has never lost due to being knocked out or being struck down. He has lost only due to being injured. He recently gave an interview on his roles as a father and a spouse and not as a martial artist. He states that it is difficult to maintain his personal life as takedowns in life are often difficult to tackle more than takedowns in the ring. He believes that he as a father, he needs to give his kids goals that are slightly out of their reach so that they will work hard for the same. Again, in personal life, when a perceived goal is not reached, one should look at failure in a different way. Instead of being disappointed, one should count their blessings as it means that it was not meant to be or would not have been the best thing for one. Again, surrounding oneself with positive minded people is very important who will lift your spirits and challenge you. This entry was posted on Monday, June 6th, 2016 at 12:05 pm	and is filed under Carlos Condit. You can follow any responses to this entry through the RSS 2.0 feed. Both comments and pings are currently closed.